Hi Cory, welcome! What is your official job title? : I am the Clinical Director of Mental Health Services at LGBT Life Center. Tell us about your past experiences: So, I graduated from ODU with a Bachelor’s in psychology and a Master’s degree in mental health counseling. During my time at ODU, I worked as a research assistant, completed a yearlong internship at a correctional center along with a six month internship at a community services board, and volunteered for multiple nonprofit organizations focusing on empowerment of resiliency traits for minority individuals. Upon graduation, I began my counselor residency, providing services to families and children as an intensive in-home therapist. Recently, I completed all coursework for my PhD in counselor education, supervision, and leadership and am currently finishing my dissertation which is focused on the intersectional experience of transgender females. I also interned as a leadership coach at EVMS where I worked on communication and leadership skills for Physician Residents. At EVMS, I also provided LGBT affirming consultation for Graduate medical educators who trained medical doctors locally and at regional VA locations. Before my current position at LGBT Life Center, I spent my residency offering counseling services at LGBT Life Center from September 2015. That’s awesome. What are some of your academic endeavors and achievements? : I mentioned that I spent a year interning at a correctional center where I volunteered for multiple nonprofits. I actually ended up earning the Volunteer of the Year Award for Chesapeake Integrated Behavioral Healthcare and a commendation from the Senator of Virginia for my efforts! During my internship at EVMS, I published a journal article on Coaching in a peer review counseling journal. I’ve also held multiple chair positions which, as of recently, includes being President of Omega Delta, ODU’s chapter of Chi Sigma Iota. These are just some of my major achievements, and then I’ve also just had my research and scholarly articles published in academic journals and newsletters. With that said, what areas can you help LGBT Life Center staff with? : I believe that we are much stronger when we move forward together. So I’m here to help in any way I can. Anything regarding Mental Health including crisis consultation, general case conceptualization, employee coaching, or general support. If I don’t know the answer, I’ll likely know where we can find it. I tend to stay busy, but I can always make time for employees. And if it’s an emergency, let me know and I’ll do my best to respond immediately. And what can you help the public with? : My specialty is LGBT+ affirming counseling. This can be helpful for adults, children, families, and couples of all backgrounds. With this as a framework, I can help people with coming out, transitioning (transgender), relationship issues (including family or social rejection), discrimination, substance abuse, depression, parenting, life transitions, anxiety and an array of other issues. Counseling creates an atmosphere where meaningful dialogue is co-created and tailored to help individuals, couples, and families achieve their goals, maximize their potentials, and to achieve overall wellness. My theoretical orientation is focused on cognitive behavioral therapy while integrating aspects of Mindfulness behaviorism and Humanistic therapies. I can also provide workshops for clinicians seeking to elevate their LGBT affirming practices (in the past, audiences include: case managers, Social Workers, Counselors, Psychiatrist, Psychologist, Medical doctors, ect.) Individual consultation can be arranged as well. How did you become interested in this profession? : My elementary school counselor once said, “some of the most influential individuals in history have disabilities, yet the history books remember them for their ideas, inventions, and most importantly, their abilities.” These words comforted me as I sat in his office with tears and feelings of self-rejection as a reaction to being bullied. He shared kind words and motivational stories from historical leaders such as Einstein and Hemmingway, who became instrumental in society despite their own developmental difficulties. This inspired me to persevere in the face of my learning disabilities and was a precursor for healed wounds and blossoming resiliency. Through this, I knew I wanted to help people in a significant way that would be life-changing. How do you see counseling as a useful tool? : My particular interest in counseling is echoed through its fundamental nature, that is, a synergistic fusion of art, education, and science in order to collaborate with individuals towards therapeutic growth. I think the counseling can be particularly useful be helping individuals increase personal wellness and improve interpersonal relationships through being congruent with their thoughts, feelings, and behaviors. This can be achieved through the therapeutic relationship, education, building coping skills, and learning to be authentic. 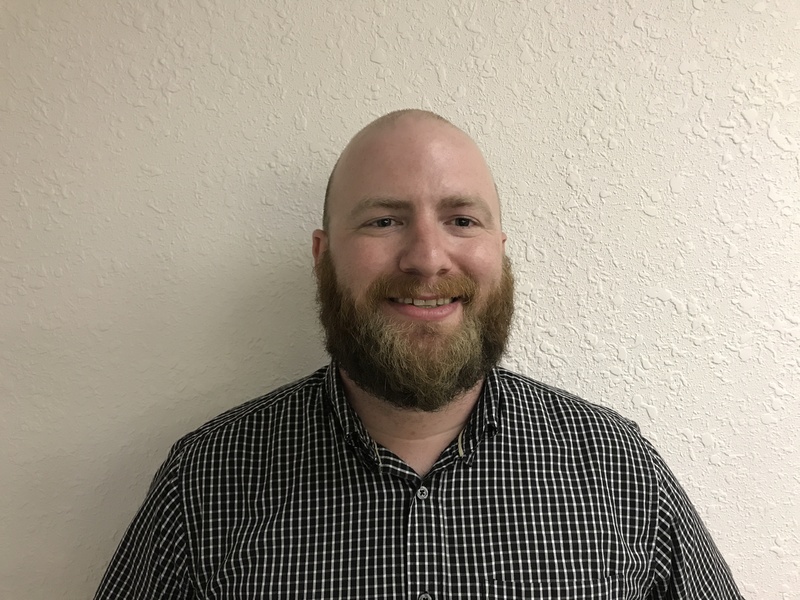 We are thrilled to welcome Cory Gerwe to the LGBT Life Center team. Mental Health is such an important area of focus, and we strive to provide such resources to our clients and our community. We offer affordable, sliding scale mental health care to HIV positive, lesbian, gay, bisexual, and transgender individuals based on their ability to pay. Our counselors are very sensitive to LGBTQ and HIV issues. Currently, we accept cash, Medicaid, Ryan White funding, and private health care insurance. For more information about our Mental Health services, visit www.lgbtlifecenter.org or give us a call at 757-640-0929.